Government Shutdown Forces Antarctic Research into Hibernation « Adafruit Industries – Makers, hackers, artists, designers and engineers! The National Science Foundation (NSF) is responsible for managing and coordinating the U.S. Antarctic Program (USAP) on behalf of the nation. This includes providing support personnel and facilities and coordinating transportation and other logistics for scientific research. Due to the lapse in appropriation, funds for this support will be depleted on or about October 14, 2013. 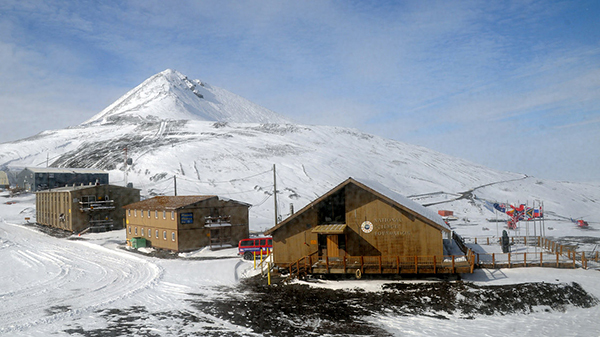 Without additional funding, NSF has directed its Antarctic support contractor to begin planning and implementing caretaker status for research stations, ships and other assets. The agency is required to take this step as a result of the absence of appropriation and the Antideficiency Act. Under caretaker status, the USAP will be staffed at a minimal level to ensure human safety and preserve government property, including the three primary research stations, ships and associated research facilities. All field and research activities not essential to human safety and preservation of property will be suspended. As NSF moves to caretaker status, it will also develop the information needed to restore the 2013-14 austral summer research program to the maximum extent possible, once an appropriation materializes. It is important to note, however, that some activities cannot be restarted once seasonally dependent windows for research and operations have passed, the seasonal workforce is released, science activities are curtailed and operations are reduced. NSF remains committed to protecting the safety and health of its deployed personnel and to its stewardship of the USAP under these challenging circumstances.